Rick Boyko, former Chief Creative Officer and Co-President of Ogilvy & Mather Worldwide, joined the VCU Brandcenter on July 1, 2003 as its managing director. In addition to teaching, he is responsible for financial and personnel management, as well as fundraising and outreach to individuals and firms in the advertising industry. 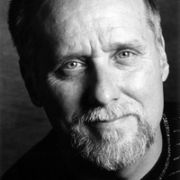 Rick began his career as an art director at Leo Burnett Chicago, where he worked on the United Airlines account. In the 1980s, he made his mark at Chiat/Day Los Angeles, working on acclaimed campaigns for Mitsubishi Electric, Nike, Pizza Hut and Home Savings of America. Rick joined Ogilvy & Mather New York in 1989, subsequently working on American Express and Duracell, and in 1994 he was named creative head of the New York office and appointed to the Worldwide Board. In 1997, Rick was named Chief Creative Officer and Co-President (sharing the latter title with Bill Gray) of O&M's $1.5 billion flagship New York office. The following year, Rick was also named North American Chief Creative Officer, partnering with then North American President Tro Piliguian to improve the creative product and audit the talent across the agency's six-office North American network. Rick was the first creative executive since the mid-80s to rise to the top management level at Ogilvy, and he ascended to that post with a mandate and a mission: to reclaim the creative ethos of legendary founder David Ogilvy. He also worked to seamlessly integrate the efforts of Ogilvy's creative departments throughout the North American network, to ensure that clients have access to the best talent, regardless of geographic location. And Rick helped implement "Young Guns," an in-house mentoring program for young creatives joining the agency. While Rick has won most every advertising award there is, he feels most proud of an accomplishment unrelated to advertising. In October 2001, in the aftermath of the September 11th tragedy, Rick conceived of and was the driving force behind "Brotherhood," a tabletop book honoring the 343 firemen who perished. It sold more than 200,000 copies and the proceeds of $1.5 million went to the families of the firemen. Rick is a long-time advocate of advertising education. An active member of the VCU Brandcenter Board since 2000, he was honored on behalf of Ogilvy & Mather as his company was inducted into VCU's Founders' Society. He currently sits on the boards of Martha Stewart Living Omnimedia, Napster, the Art Directors Club, The One Club for Art & Copy, and is on the Steering Committee for Art Center College of Design (his alma mater). He is married to his wife of 29 years, Barbara, and has three daughters, Mary, Jess and Kate.